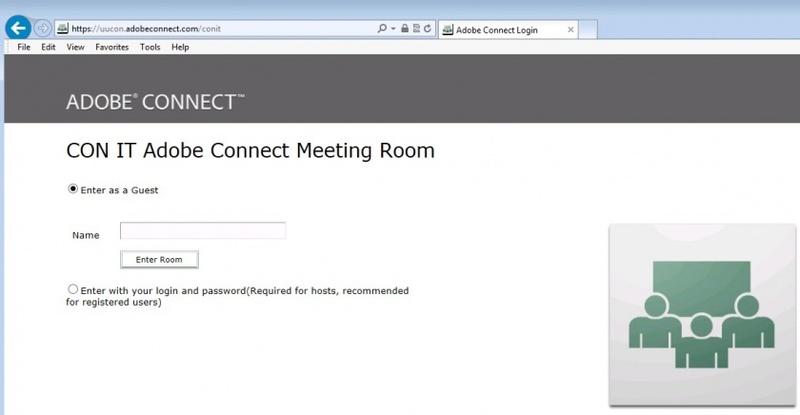 Here are the basic steps needed to use a Guest Login for Adobe Connect. Open the meeting room URL. 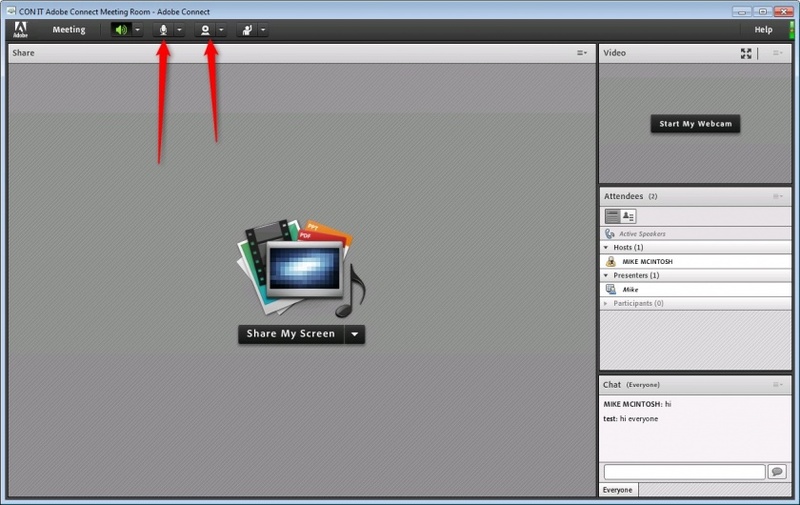 After the meeting room opens you can enable your mic and camera by clicking the icons at the top of the meeting window. 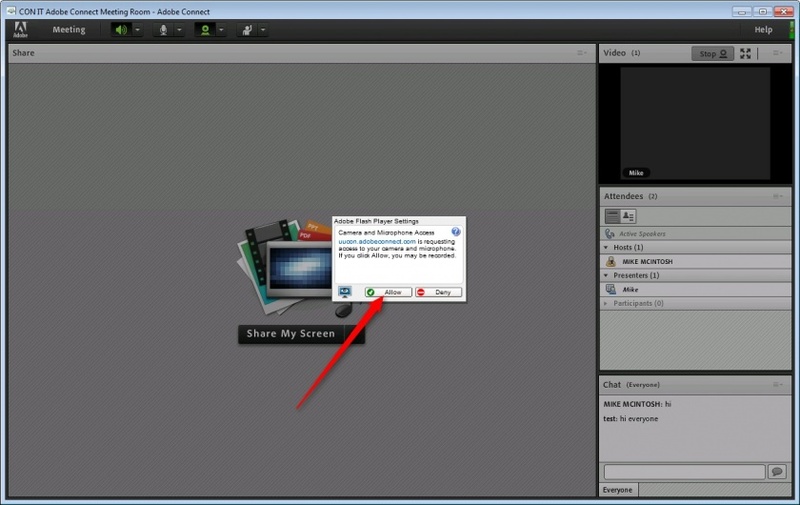 When enabling your mic and webcam you will be asked to allow Adobe Connect to access your device. After enabling your mic you can click the icon again to mute your mic while not speaking in the meeting. This page was last modified on 13 May 2015, at 10:35.